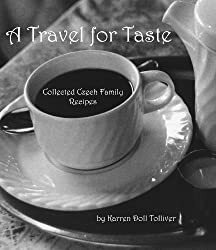 ATFT: Czech Recipes Cookbook Available Now on Amazon! Hello everyone! I’m so excited to announce that my book is ready. There are 24 pages and nine recipes. There are lots of travel stories and photos from my trip earlier this year that journaled here. The price is a mere $12.99 for a hard copy and $9.99 for the downloadable version. I’m so glad I got this out there so you’d have an option to buy it for the travelers, photographers, writers and readers, not to mention cooks, on your holiday shopping list. You can buy it on Amazon.com.